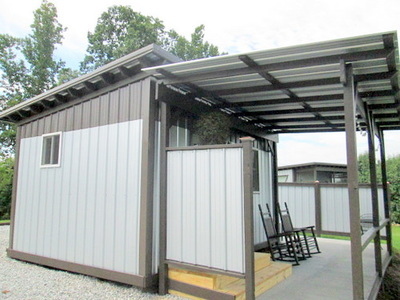 The Backyard Bunkies are two vacation rentals located in the quaint town of Marion, NC. The Bunkies are a five minute drive to downtown Marion and a twenty minute drive to the surrounding town of Old Fort and Morganton. There are two vacation homes to choose from. The first is Bitty , which is a 360 square foot "tiny" home. With an eclectic style, tall ceilings and screened in porch you will have everything you need to enjoy the breathtaking mountains of North Carolina. 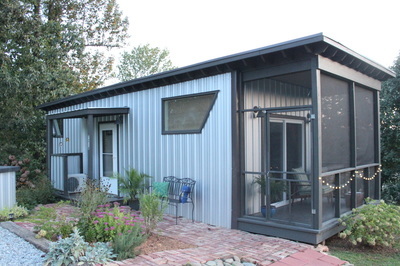 The second "tiny" home is Itty-Bitty, which is 192 square feet. With rocking chairs, a hammock and an amazing view, you will truly enjoy small living in a large way!